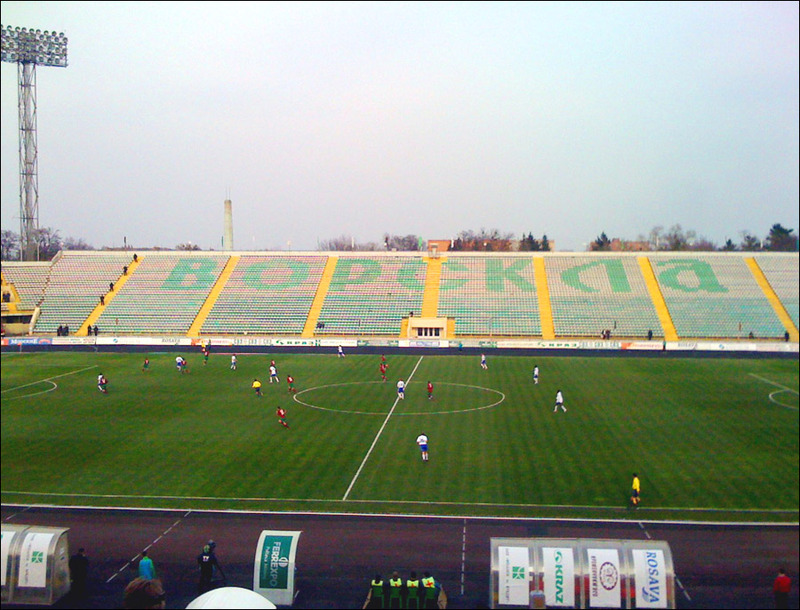 The capital city of Poltava oblast. Poltava is a city located in the north-eastern part of Ukraine, the administrative center of the Poltava region, an important cultural center, and a major transport hub. The population of Poltava is about 292,000 (2016), the area - 112 sq. km. The phone code - +380 532, the postal codes - 36000-36499. Local time in Poltava city is April 21, 5:33 pm (+2 UTC). The East Slavic tribe of the Northerners (Siverians) founded Poltava on the bank of the Vorskla River approximately in the 8th-9th century. 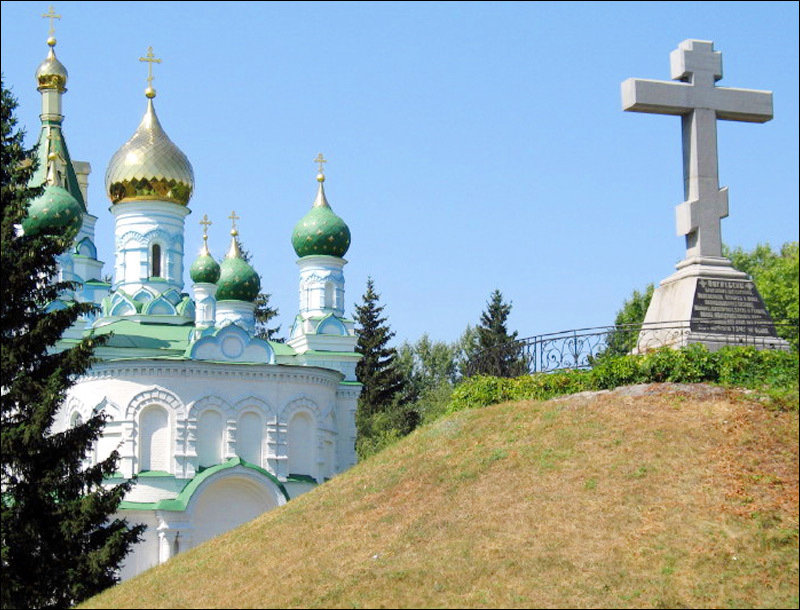 Based on archaeological research, the official year of foundation of Poltava is 899. The first written mention of the settlement under the name of Ltava is found only in the pages of The Hypatian Codex and dates back to the year of 1174. In 1240, the settlement was almost completely destroyed during the Mongol invasion and similar names for a long time did not occur in written sources. However, life on the site of the settlement continued in the 13th-14th centuries. Probably, at this time, the area of Ltava was significantly reduced. In the middle of the 14th century, the Kyiv Principality, which included Poltava, was annexed by Grand Duke Algirdas to the Grand Duchy of Lithuania. The settlement was destroyed during the Battle of the Vorskla River in 1399. In 1430, Poltava was mentioned as a settlement under the rule of the Lithuanian Grand Duke Vytautas. Over the next hundred years, the settlement changed its owners several times. In 1569, according to the Lublin Union, Poltava was transferred from the Grand Duchy of Lithuania to the Kingdom of Poland. The Polish-Lithuanian Commonwealth was formed. The frontier location of Poltava, constant military clashes led to the formation of a special type of local population - the Cossacks, which determined the history of this fortified outpost on the Vorskla River for a long time. In 1641, in a historical document, Poltava was called a town. The tension between the local residents and the Polish-Lithuanian authorities was increasing. During the Khmelnytsky Uprising, Poltava became one of the military-administrative centers of the Cossack Hetmanate. In 1654, after the conclusion of the Treaty of Pereyaslav and the voluntary transfer of the Cossack Hetmanate into the allegiance of the Russian kingdom, the uprising turned into into the Russian-Polish war of 1654-1667. After the Andrusov truce of 1667, Poltava, along with the left-bank Ukraine, became part of the Russian kingdom. In 1693-1695, as a result of raids of the Crimean Tatars, the town was plundered. At the end of the 17th century, the restoration and development of the town began. At the turn of the 17th-18th centuries, Poltava became one of the handicraft and trading centers of the region. The Northern War of 1700-1721 between Russia and Sweden played a huge role in the history of the town. 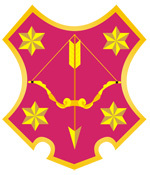 During the campaign of King Charles XII to Moscow, the garrison of Poltava (about 4,200 soldiers and 2,500 armed townspeople) defened the town for three months until the main forces of the Russian army arrived. In the summer of 1709, the general battle of the Northern War took place near the walls of the town - the Battle of Poltava. Zaporozhye Cossack regiments were parts of both armies. The result of the battle was the complete defeat of Charles XII. After the Northern War, Poltava became known throughout the Russian Empire as a town of military glory. Poltava began to actively build up, soon it turned into one of the main trade and craft centers of the region. Poltava also became one of the centers of the cultural and spiritual life. Ivan Kotliarevsky (1769-1838), the pioneer of modern Ukrainian literature, was born and lived almost all his life in Poltava. In 1802, Poltava became the administrative center of Poltava province. In 1803, the first general plan of the town was approved. In connection with the 100th anniversary of the Battle of Poltava, the best architects began to work in the capital of the province. Since then, Poltava inherited its central part - the unique ensemble of the Round Square. In 1839, the population of Poltava numbered about 15,000 people. By 1860, the population doubled. 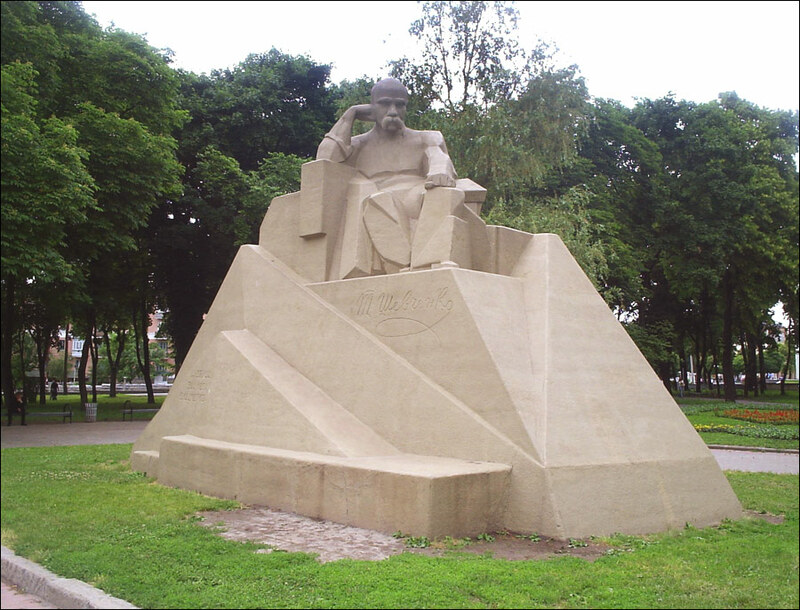 In 1903, a monument to Ivan Kotliarevsky, the first classic of the new Ukrainian literature, was opened. 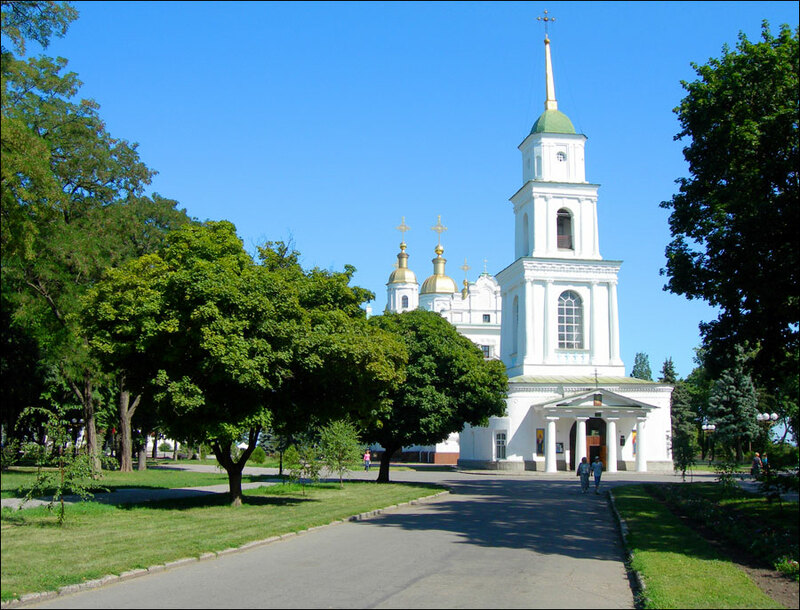 At the beginning of the 20th century, Poltava was also called “The Spiritual Center of Ukraine”. 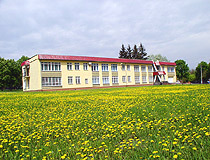 It was the largest center for the development of Ukrainian culture and education of that time. In 1909, to the 200th anniversary of the Battle of Poltava, Petrovsky Park and a monument to Colonel Kelin and valiant defenders of Poltava were opened. At the place where the ancient Sampsonievskaya tower once stood, the White gazebo was built - a low semicircular colonnade, from which you can see a few dozen kilometers. By 1913, Poltava was a typical provincial town of the Russian Empire. It was dominated by one- and two-storey buildings, the industry was underdeveloped. In 1917-1920, during the revolutionary events and the Civil War, the power in Poltava changed several times. In the 1920s-1930s, several industrial enterprises were built in the city (hosiery, tobacco, spinning factories, meat processing plant). September 22, 1937, the Poltava region was established with the center in Poltava. September 18, 1941, during the Second World War, German troops captured Poltava. In accordance with the Master Plan for the East (the Generalplan Ost), the number of schools in the city was reduced from 37 to 2, and the number of students was reduced from 18,259 to 150. June 1, 1942, Hitler visited Poltava. September 23, 1943, Poltava was completely liberated by the Soviet Army. This day is celebrated as the City Day of Poltava. During the German occupation, 18,200 residents were killed. All industrial enterprises and public utilities, 45 educational institutions, 9 hospitals and 5 polyclinics, museums, cinemas, theaters, clubs, 350,000 square meters of residential buildings, and a lot of cultural and historical monuments were destroyed. Works on the restoration and reconstruction of Poltava continued from 1944 to 1958. In 1959, 66 km of gas networks were put into operation, gasification of the city began. In April 1962, the creation of a dendrological park began. September 1962, the first trolley buses appeared on the streets of the city. In 1964, the local history museum, destroyed during the war, was rebuilt and the Poltava Porcelain Factory started production. January 1, 1989, the population of Poltava was 324,000 people. There were 70 industrial enterprises in the city. In 1999, Poltava celebrated its 1100th anniversary. Today, Poltava continues to be an important industrial and cultural center of independent Ukraine. Poltava is located on the Dnieper lowland, along both banks of the Vorskla River, in the eastern part of the Poltava region, 345 km northeast of Kyiv. The geographical position of Poltava is quite favorable. With the course of history it significantly influenced the development of the city. Poltava stands on important transport routes and provides communication between the largest cities of Ukraine - Kyiv, Kharkiv, and Dnipro. The climate in Poltava is moderately continental with cool winters and warm (sometimes hot) summers. The average temperature in January is minus 6.6 degrees Celsius, in July - plus 20.1 degrees Celsius. 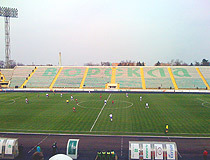 The Poltava region is part of the North-Eastern economic region, together with the Sumy and Kharkiv regions. In these territories there is a powerful industry and one of the best enterprises and farms of the agro-industrial complex of Ukraine. 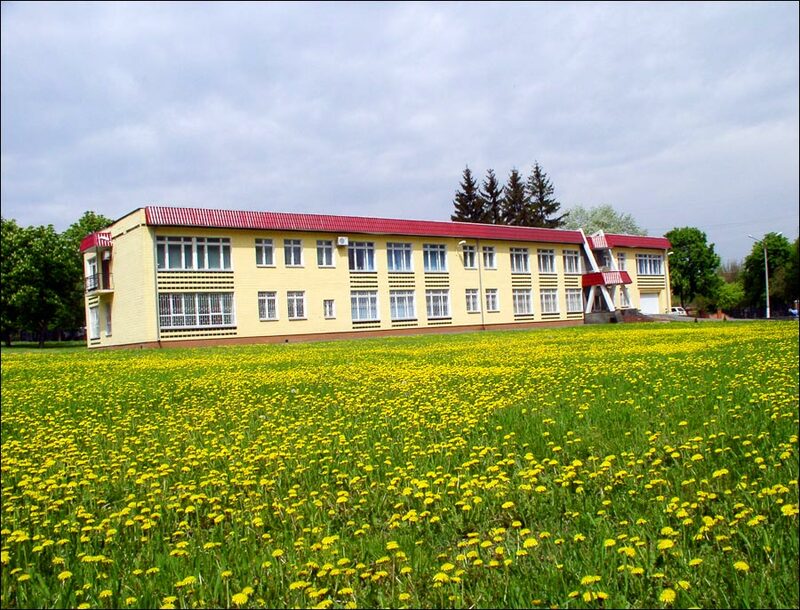 Natural and resource potential, convenient economic and geographical position of Poltava determined the specialization of its enterprises in the fuel, food, light, woodworking industries. Its location near large metallurgical, engineering and scientific centers such as Kyiv, Kharkiv, Dnipro determined the development of machine building, chemical industry. The Poltava dialect is considered the basis of the modern literary Ukrainian language. The City Day of Poltava is celebrated on September 23. Holy Cross Convent. 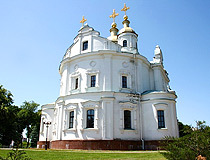 The Holy Cross Cathedral (1699-1709) of the convent is the only seven-headed Baroque church in Ukraine, which has survived to this day. 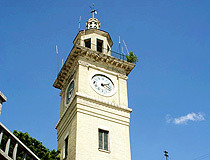 The height of the four-story belltower (1786) built in the late Baroque style is 43 meters. 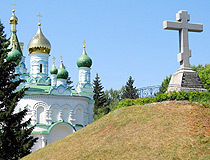 The complex also includes a single-domed Trinity Church (1750) and the Semyonovskaya Church (1887). During the Great Northern War the headquarters of Charles XII was located here. 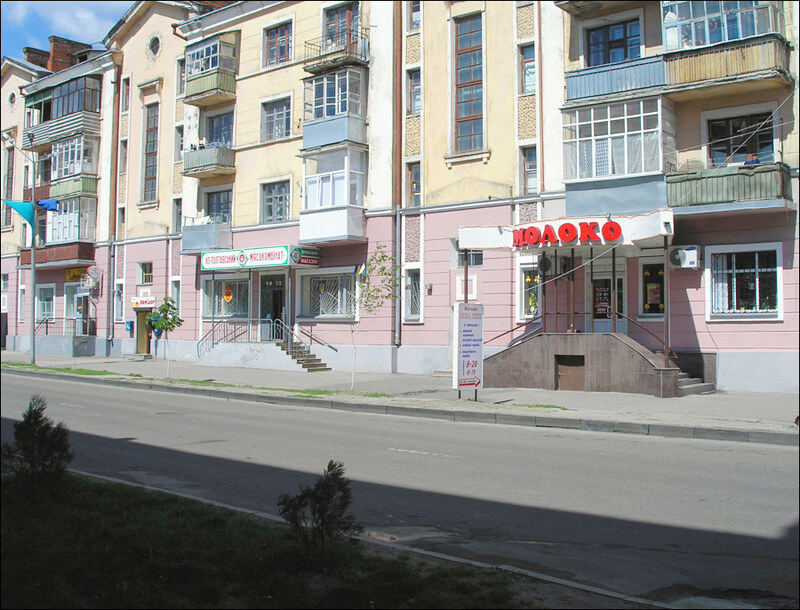 Paisiia Velychkovskoho Street, 2A. Assumption Cathedral. 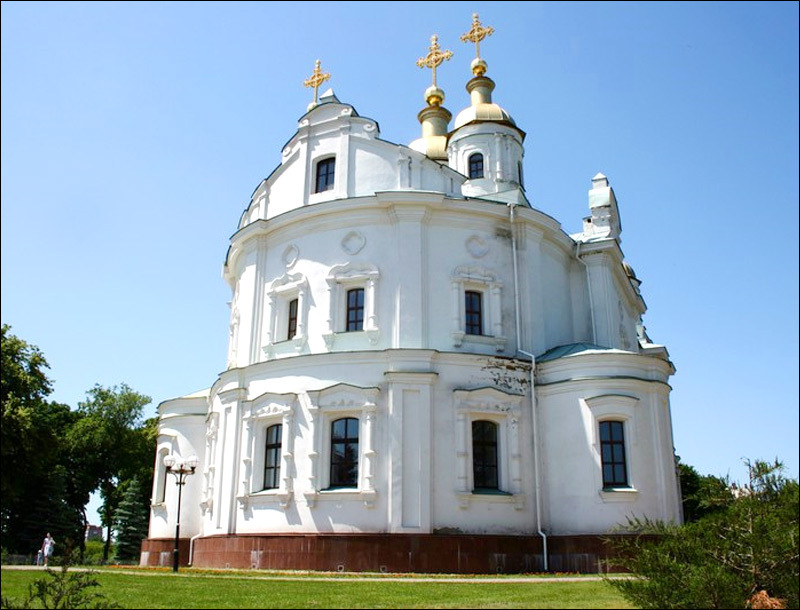 This church, constructed in the style of the Byzantine basilica in 1751-1770, became the first stone building in Poltava. The height of the bell tower is 44 meters. In 1934, the cathedral was destroyed by the Bolsheviks, but the bell tower survived. In 1999-2007, the cathedral was rebuilt and returned to the Orthodox Church. Sobornyi Square, 1. Church of the Savior (1705) - one of the oldest churches of Poltava, an example of traditional Ukrainian architecture. Sobornosti Street, 10. Church of St. Sampson the Hospitable (1852-1856) - a memorial church-monument built on the field of the Battle of Poltava. Shveds’ka Mohyla Street, 32. Local History Museum (1903-1908). 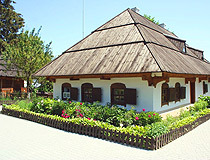 The museum building was constructed in the Art Nouveau style with elements of the Ukrainian folk style. In 40 museum halls and storage facilities there are more than 300 thousand exhibits: ancient Egypt collection, works of ancient and oriental art, Cossack relics, etc. 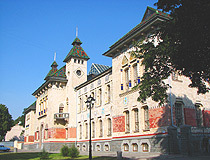 It is one of the best regional museums of local history in Ukraine. Konstytutsii Street, 2. Opening hours: 9:00-17:00. Day off: Wednesday. Field of Poltava Battle - one of the first museums of Poltava created in 1909 on the field of the Poltava battle near the grave of Russian soldiers to the 200th anniversary of the victory of the Russian army over the Swedes. The collection has more than 8 thousand exhibits: works of art, weapons, banners, uniforms of the Russian and Swedish armies, personal belongings of Peter I, etc. Shveds’ka Mohyla Street, 32. Opening hours: 9:00-17:00. Day off: Monday. Museum of Ivan Kotliarevsky - a recreated estate of the writer built in 1969 according to the drawing of T. Shevchenko of 1845. In his Poltava house the classic of Ukrainian literature created most of his works. Inside, you can feel the atmosphere of the 19th century. Sobornyi Square, 3. Opening hours: 9:00-17:00. Day off: Monday. Poltava Museum of Long-Range Strategic Aviation. The museum was created on the territory of the Poltava military airfield, where in Soviet times the 13th heavy bomber aviation division was based. The main exhibit is a strategic bomber Tu-160 - the only one remaining on the territory of Ukraine. Other exhibits: Su-15, Tu-95MS, Tu-22KD, Tu-134UBL, Tu-22M2, Tu-22M3, Tu-16, An-26. Excursions must be arranged in advance. Contacts: +380 66 853 49 02, +380 532 56 89 12, mvba@ukr.net Opening hours: 10:00-17:00. Day off: Monday. Literary-Memorial Museum of Panas Myrny. In 1903, the writer bought a small one-story house on the outskirts of Poltava, where he lived for 17 years. In 1940, a museum was opened here. In seven rooms there are over 150 manuscripts of Panas Myrny and his brother I. Bilyk, about 1,000 personal belongings of the writer’s family, books, documents, photos. Panasa Myrnoho Street, 56. Opening hours: 9:00-17:00. Day off: Friday. Art Museum. In total, there are more than 9 thousand exhibits. Among them are the works of such Western European painters as Clara Peters, Marcello Bachiarelli, Francesco Guardi, Ukrainian and Russian artists - N. Pimonenko, A. Slastion, E. Belokur, G. Myasoedov, I. Shishkin, I. Repin. The museum is proud of the largest in Ukraine collection of works by N. Yaroshenko and I. Myasoedov. 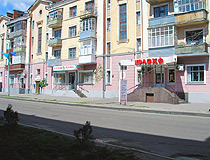 Yevropeiska Street, 7. Opening hours: 10:00-17:00. Day off: Monday. Botanical Garden of Poltava National University. The botanical garden is located in the picturesque relief area of the eastern part of Poltava. 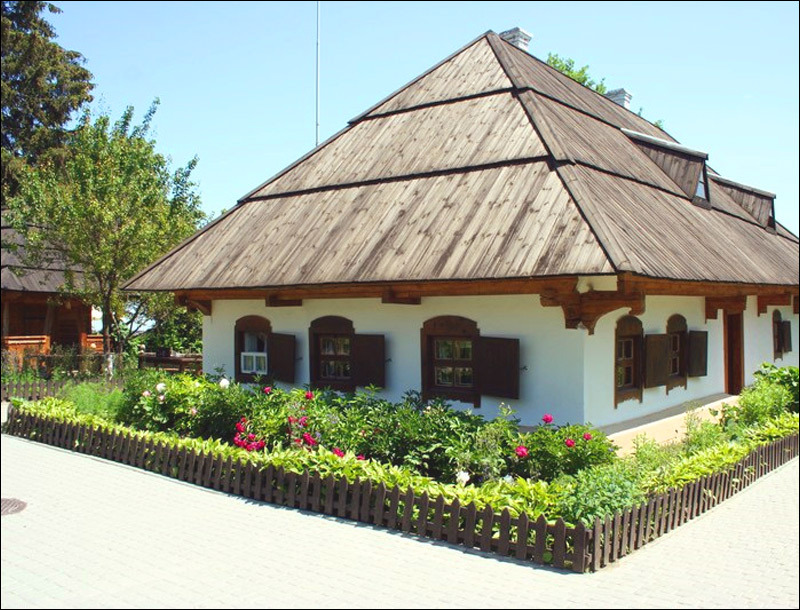 The garden has several sections: an arboretum, a section of flower and ornamental plants, a museum of Ukrainian floriculture under the open sky, an alpine hill, a section of agricultural and medicinal crops, a fruit garden. Botanichnyi Lane, 2. Opening hours: 8:00-15:00. Days off: Saturday, Sunday. Monument to the Defenders of Poltava. 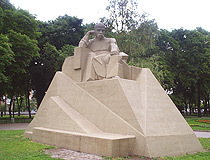 “Monument to Colonel Kelin and Valiant Defenders of Poltava” was opened in 1909, on the site of the Mazurovsky Gate of the Poltava fortress in memory of the defense of the town on the eve of the Battle of Poltava in 1709. Monument to the Fallen Swedes from Russians. The monument to the Swedish soldiers who died during the Battle of Poltava was opened in 1909, on the initiative of the Russian public in recognition of the valor and courage of soldiers of the army of Charles XII. The height of the monument is about 9 meters. The inscription on the bronze plaque reads: “Eternal memory to the brave Swedish soldiers who fell in the battle near Poltava on June 27, 1709”. The losses of the Swedish army in the Battle of Poltava amounted to about 6-7 thousand people. Intersection of Zin’kivs’ka and Shveds’ka Mohyla streets. Monument to the Ukrainian Cossacks. The monument to Cossack glory in Poltava was opened in 1994. It was dedicated to the Ukrainian Cossacks, who died during the Battle of Poltava. On a massive granite base you can see a huge Cossack cross with a laconic inscription “To the dead Ukrainian Cossacks”. Panyans’kyi Boulevard. 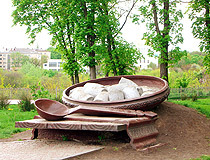 Monument to the Dumplings (Galushki). 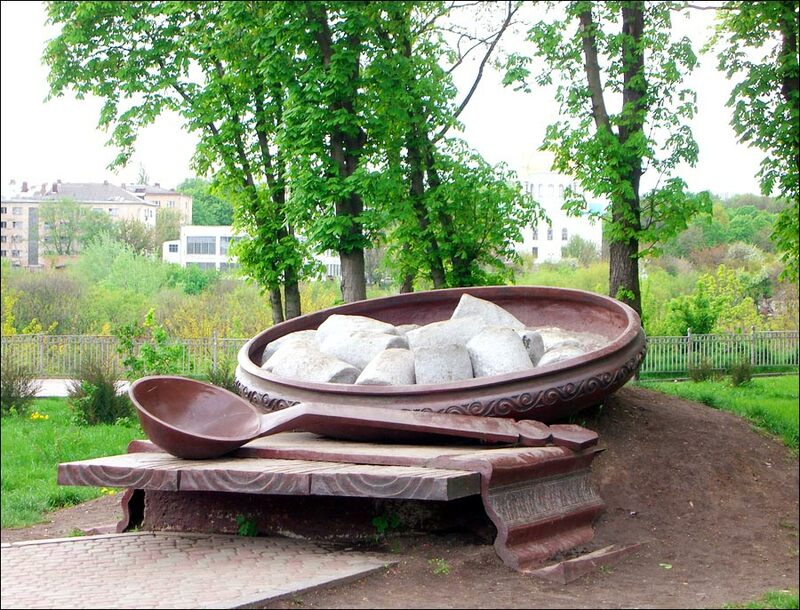 The monument to the Poltava dumplings (galushki in Ukrainian), considered one of the symbols of present Poltava, was installed next to the observation deck on Ivanova Hill. Opened in 2006, it was timed to the birthday of the writer Nikolai Gogol, who mentioned galushki in his works. Sobornyi Square. 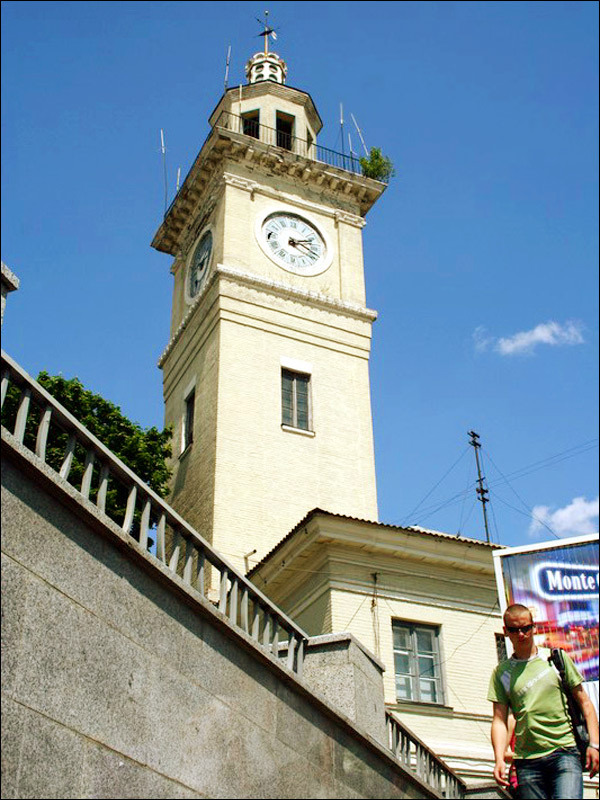 Ivanova Gora - the historical core of Poltava and the best observation deck of Poltava. More than 1,000 years ago, the first wooden fortifications of the old settlement of Ltava appeared on this high hill above the Vorskla River. Sobornyi Square. Round Square (Korpusnyy Garden). The central square of Poltava is a ring, in the middle of which you can find Korpusnyy Garden with the Monument of Glory erected in honor of the 100th anniversary of the victory over the Swedes near Poltava. According to legend, at this place Peter I met with the defenders of the town. 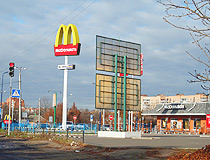 It is a popular place for walks of locals and visitors of Poltava. Zhovtneva Street. Peasant Bank (1906-1909) - the most elegant building in Poltava, one of the best examples of Ukrainian Art Nouveau located in the center of the city, about 200 meters from the Round Square. 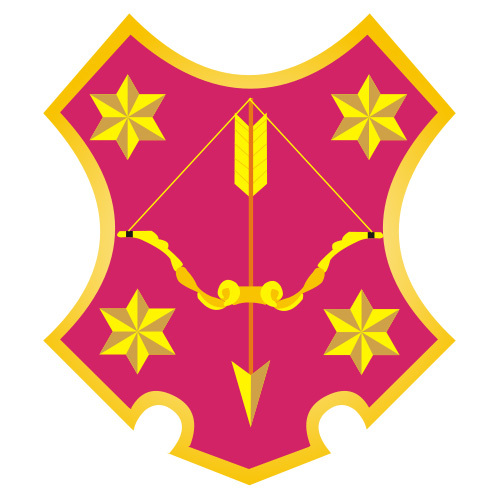 Today, it is the Office of Security Service of Ukraine in the Poltava region. Sobornosti Street, 39. House of Education (Kolos Movie Theater). Poltava educational house named after Nikolai Gogol was built in the style of neo-renaissance in 1901 and was used as a theater. During the Second World War, the building was destroyed. In the postwar years it was restored in its original architectural forms and became the movie theater “Kolos”. Hoholya Street, 22. 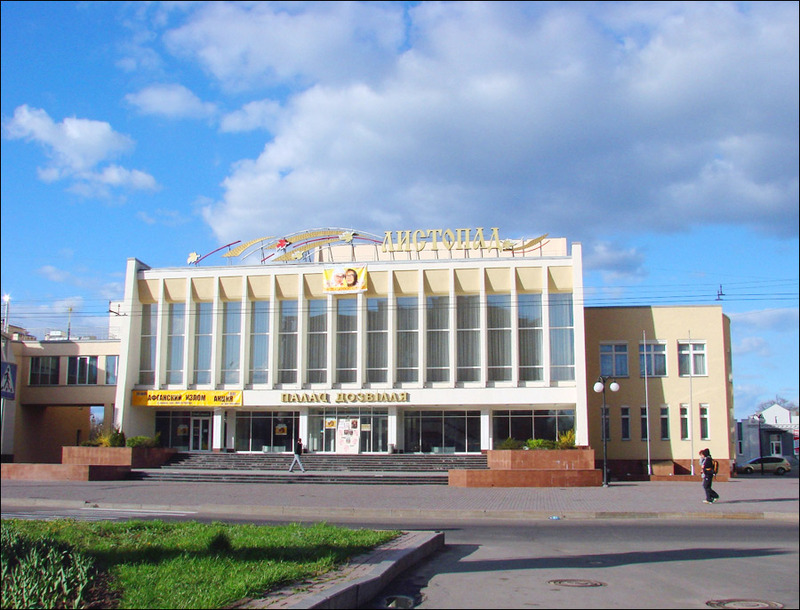 Poltava Music and Drama Theater named after Nikolai Gogol - the main and the oldest theater scene of the region. The date of its birth is considered 1808, when “Poltava Free Theater” was opened in the town. In 1901, a new building was constructed for the Poltava Theater - the House of Education. After the Second World War, in 1958, a new pompous building was built for the theater. Sobornosti Street, 23. 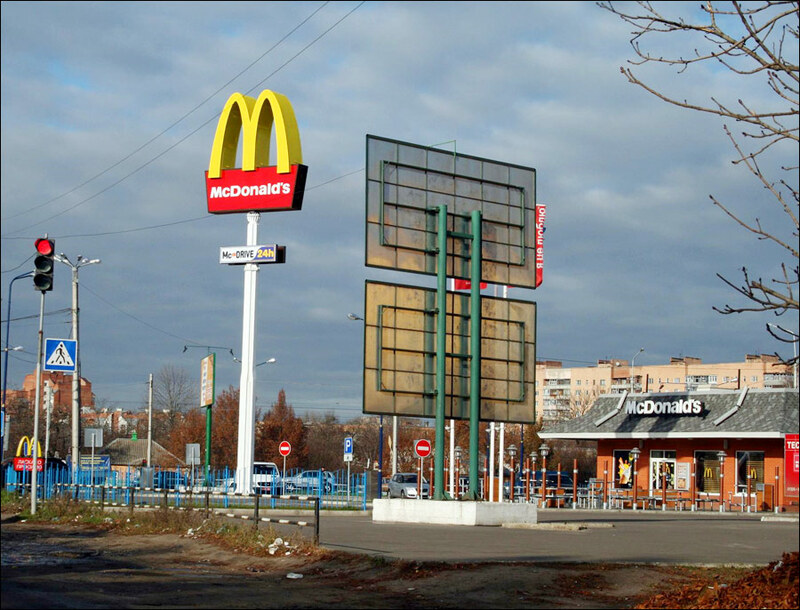 In total, there are about two dozen hotels in Poltava. The following English friendly hotels located in the central part of Poltava offer the best level of service according to visitors’ reviews. Hotel “Palazzo” - a comfortable 4 star hotel with 55 rooms conveniently located at the intersection of two central streets of Poltava - Hoholya and Pushkina, within walking distance of the main historical and architectural landmarks. Air conditioning, free Wi-Fi and parking, room service, tour desk, shuttle service, bar, safe, elevator, pets are not allowed. Hoholya Street, 33. Phone: +380 532 61 12 05. Hotel “Aleya Grand” - a new modern hotel with 21 rooms of different categories located near the center of Poltava. Air conditioning, free parking and Wi-Fi, room service, tour desk, bar, safe, elevator, pets are not allowed. Zhovtneva Street, 57. Phone: +380 532 57 97 37. 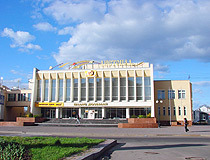 Hotel “Reikartz Gallery Poltava”. This hotel with 40 rooms is located in the historical center of Poltava, near the pedestrian area. Air conditioning, free Wi-Fi, room service, bar, safe, elevator, gift shop, pets are not allowed. European Street, 7. Phone: +380 50 305 22 83. Mike asks: What does it cost to live in Poltava? In 2016, the average salary in Poltava was about 200-250 USD per month. So this sum is enough to buy food and pay utilities. Of course it is not enough to buy an apartment or a car.